Record numbers of theme park visitors are preparing for thrilling and memorable experiences this year. According to the International Association of Amusement Parks and Attractions’ IAAPA Global Theme and Amusement Park Outlook Report (2017 to 2021), more than 398 million people are expected to take part in the fun in the months ahead. 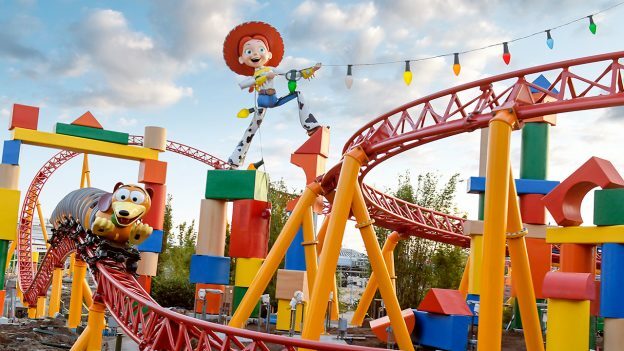 Roller coasters are a big part of what’s new this season, and an abundance of new rides and experiences—more than 70 according to the IAAPA compilation—include water slides, kiddie rides and new themed lands. According to park guest surveys, roller coasters remain the top-rated ride of interest to park guests, and new coasters deliver big thrills. With 12 roller coasters, four giant swings, four towering rides and, many more unique experiences to excite visitors, parks across the country are ready for a season filled with fun. Family entertainment centers are a segment of the attractions industry that continues to grow and expand, offering an array of experiences from golf and go-karting to ziplines and trampolines. These traditionally smaller destinations provide a mix of activities designed for parents, grandparents and kids to experience together. Families can also soak up the fun at dozens of water parks, with many water slides and water attractions making a splash all season long. It's a day every father dreads. Because it is inevitable, because there is little we can do about it, it looms like a specter on our already difficult parenting journey. Despite our best efforts, there is no avoiding the cultural influence and messages on the sides of busses, on billboards, in pop songs, in movies…even in schoolyard chatter. And, knowing it's coming, we prepare. "Daddy, can we go to Disneyland?" And though you've prepared for this moment, you still cringe and quickly wonder how you might avoid the interminable lines, gum on your shoes, and refrains of "It's a Small World" echoing in your head for months after. Now I once worked with a couple of people who had worked at Disneyland as part of a college program, and they both testified with great fervor that it was the most amazing professional experience of their lives. Of course "The Disney Way" is legendary in management circles. But I still imagined some sort of indoctrination ceremony, maybe with someone in a mouse suit handing out cups and saying in that distinctive, high-pitched Mickey voice, "Heh heh, here kids, have some Kool-Aid." But parents of small children, listen to me, for I have been to the mountaintop (the Matterhorn, of course) and I have seen Disneyland, and you should not be worried about a thing! That's right, reluctant mouseketeers, I have visited the Happiest Place on Earth and have left it able to say "Happiest Place on Earth" without a trace of cynicism. I am encouraging you to embrace the mouse. Disney is da bomb and I am a convert! Before I dole out some advice on how to make your Disney experience the best it can be, let me tell you what I think makes this place so amazing. Disney's purpose statement is "We make people happy." That's great and all, but who among us isn't jaded by the pervasive corporate practice of treating its purpose statement like a bumper sticker, sort of regretting it's out there once they've sold it out for the sake of quarterly earnings. But when you are at Disneyland, you genuinely have the sense that every single "cast member" (never say employee at Disney) loves their job and truly delights in making every single person they see happy. Our daughter, Piper, celebrated her 9th birthday at the park and was given a big button to wear that proclaimed that fact. Now, clearly the 5000 or so park employees that said "happy birthday" were trained to say so to anyone bearing the button. But it doesn't even matter; their enthusiasm and joy is so warm and authentic that even my inner cynic was left in awe. Even dancers in the parade bent down to smile and wish her happy birthday, without missing a step. And I think it does Disney a disservice to call it an amusement park, thereby classing it with those operations where daddy's worst fears are all realized. Because, every flower is real (even the ones that are part of a ride or show); not one single piece of gum could be found on the bottom of a shoe or elsewhere; loose trash is unheard of; you encounter all sorts of really good street entertainment just about everywhere you wander; and even when waiting in long lines you are entertained, so that you don't feel as if you're waiting. It just generally gives the sense of a place that opened long enough ago to have worked the kinks out but not so long that it has run down or the employees have gotten jaded. But Disney has been there 58 years! Besides Disney's flawless operation, there is one more reason I, Daddy, was able to enjoy the experience as much as I did: We managed to hit the park just after most school spring breaks, so the crowds were moderate.For even more, visit the park during historic slow times (see advice below). And so, without further ado, sit on down, have some Kool-Aid, and listen to these ten essential pieces of advice to make your Disneyland experience the happiest it can be. 1. Go when it's slow — Disneyland and Disney's California Adventure are adjacent but separate parks. Don't miss either one. Go when the crowds are light (like weekdays, January thru March) and for at least two days. Save money by doing one park per day (instead of a "park hopper"). Buy online beforehand for small discounts. 2. Stay close by — Unless you've got a big budget, stay close to the park but not in it. There are loads of lodging options around the park that achieve your parking, sleeping, and dining requirements without the Disney price tag. But if you've got the money? Enter the Disney fantasy bubble and never have to burst it during your whole stay. 3. Get a smartphone app — We used the free and popular Mousewait for checking wait times for rides, entertainment schedules, bathrooms near you, restaurant choices, and other resources. Familiarize yourself with it before you go. 4. Plan your day(s) so you're not spending time in the park figuring out what you might want to do. (Or if you can, save brain cells and go with seasoned Disney veterans like we did. We were just along for the ride, as it were.) Of course a good plan begins with a good night's rest and a hearty breakfast outside the park beforehand. 4. Bring your own food — but if eating at park restaurants, eat lunch before 11 or after 1pm and dinner before 6pm to miss the waves of humanity. 6. Bring two backpacks — Carry Pack One with you. Put Pack Two in a locker ($7 - $9 per day for unlimited access). - Jackets and such if weather requires. Otherwise leave backup clothes in the other pack. - As little else as as possible so you're not lugging too much weight around or having to deal with a fat pack on rides. 7. Establish a lost kid strategy and randomly test them on the procedure a couple of times during the day. 8. Avoid the lines when possible — Hit the most popular rides early (like Radiator Springs Racers in California Adventure or Space Mountain in Disney) and use fast passes for lines over 40 minutes. While holding a place in your first line, consider sending one adult for Fastpass reserved seating for the nighttime fireworks or light shows. Note in your planning which rides do and do not use Fastpasses. Familiarize yourself with how Fastpass works beforehand. 9. Use in-park transportation — These are essentially rides unto themselves anyway, but with the added bonus of saving your poor feet. 10. Buy “treasures” toward the end of the day — This not only serves as a "cooling off period" for the "ooh! Mommy, I need that right now!" conniption fit, but it also saves you lugging things around all day.